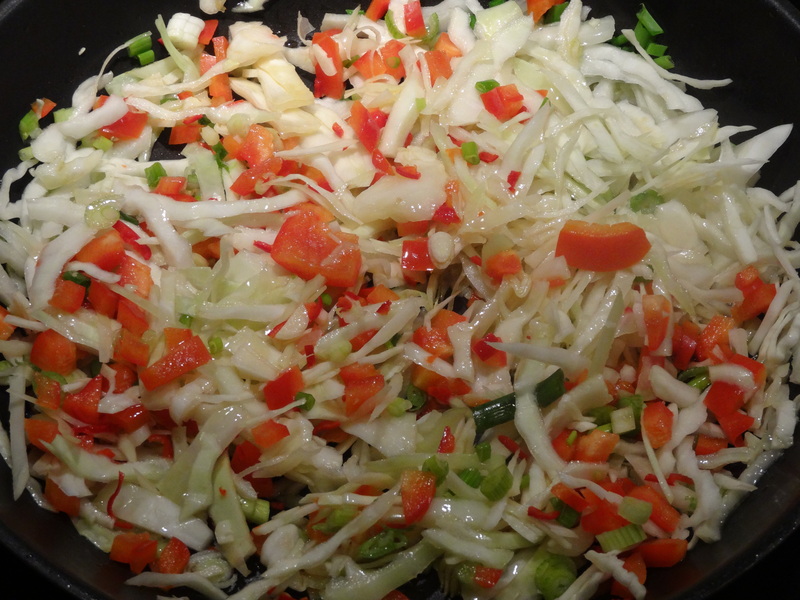 This entry was posted in Dinner and tagged beans, dinner, homemade, spicy, tomato, vegetarian on 2014-12-07 by activebeans. 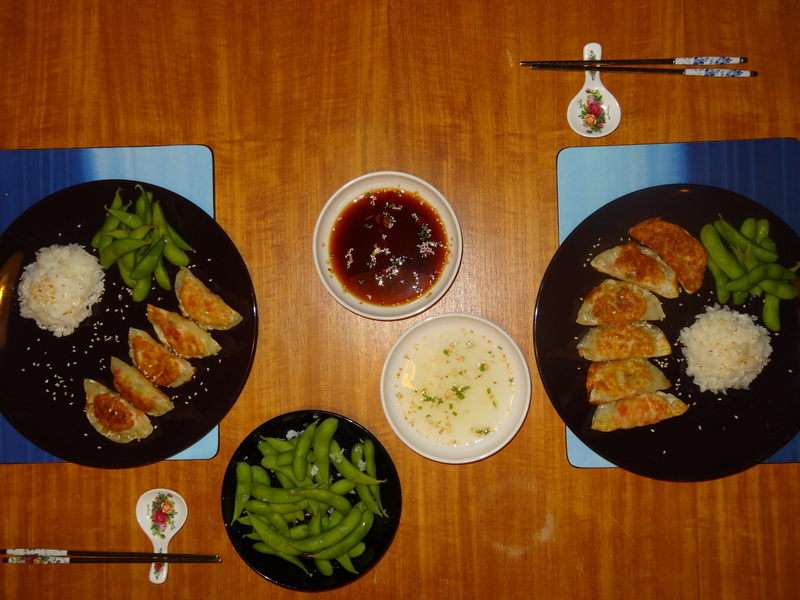 Did you see our previous post where we made fried dumplings with edamame beans? 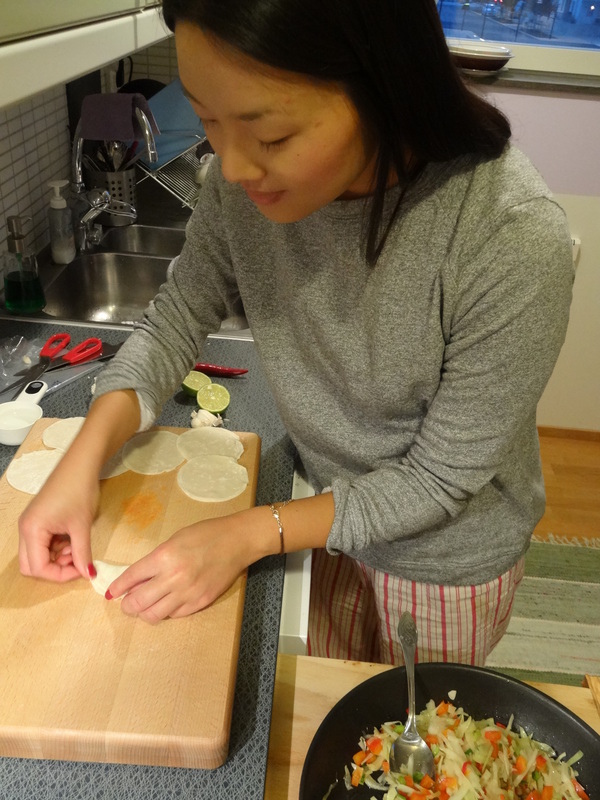 It seems Sofi’s sister did – she came to Göteborg last weekend and asked especially for us to make dumplings! So we did. 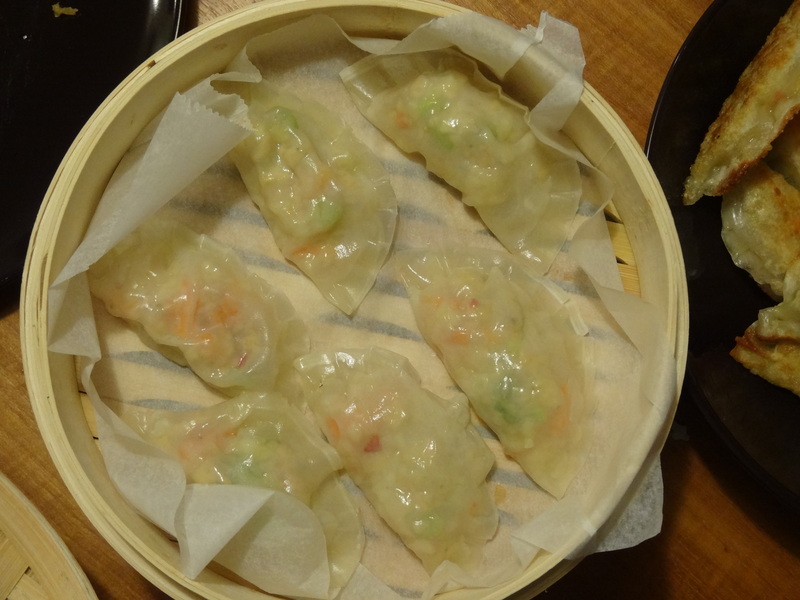 But we decided that we wanted some steamed dumplings as well, because they’re simply amazing and taste very different to the fried dumplings. We used marinated tofu in this recipe as well as different vegetables, which we didn’t fry before putting in the dumpling cases. 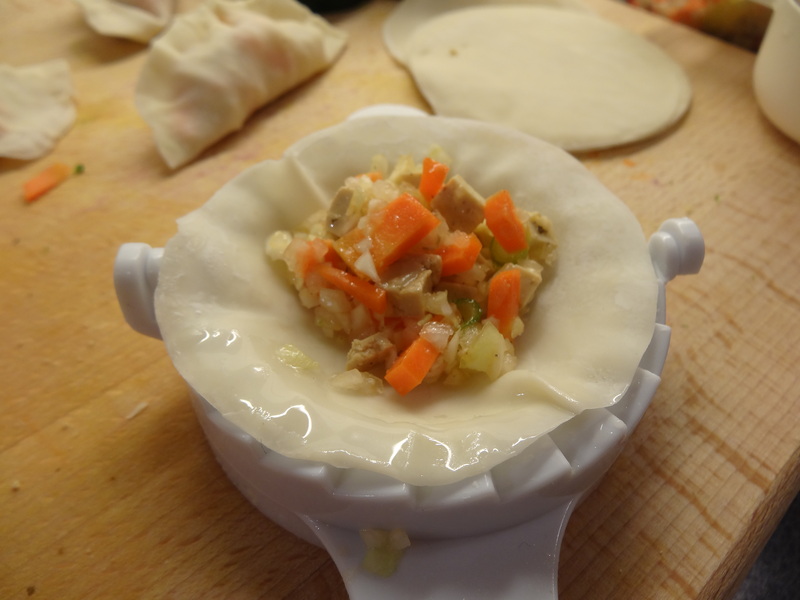 However, our previous dumpling filling works just as well, and you could even make your filling to cater to your taste! To see our instructions for frying the dumplings, see our other post. Finely chop the tofu, carrot, and cabbage into small cubes about 5 mm wide. Mix the tofu, carrot, and cabbage in with the vegetables from the food processor. 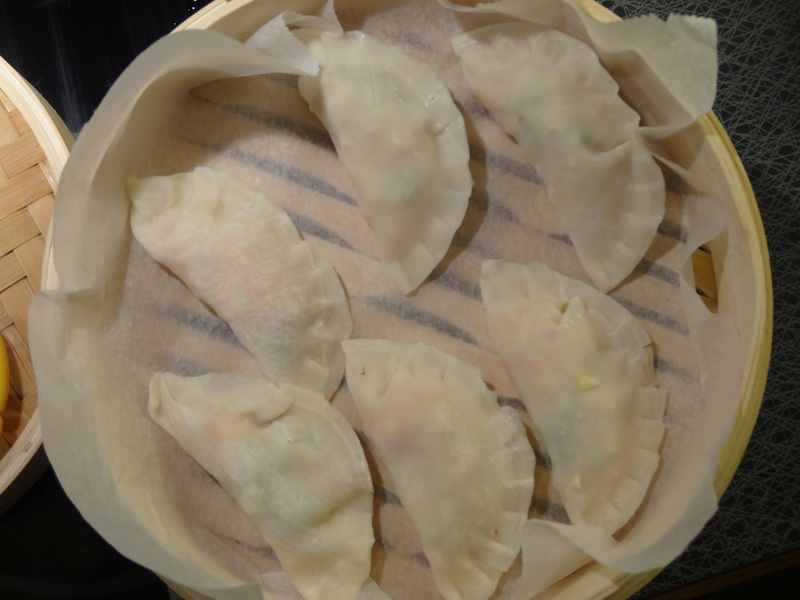 Put some dumpling cases on a work surface, and put one spoonful of the vegetable mix on each. 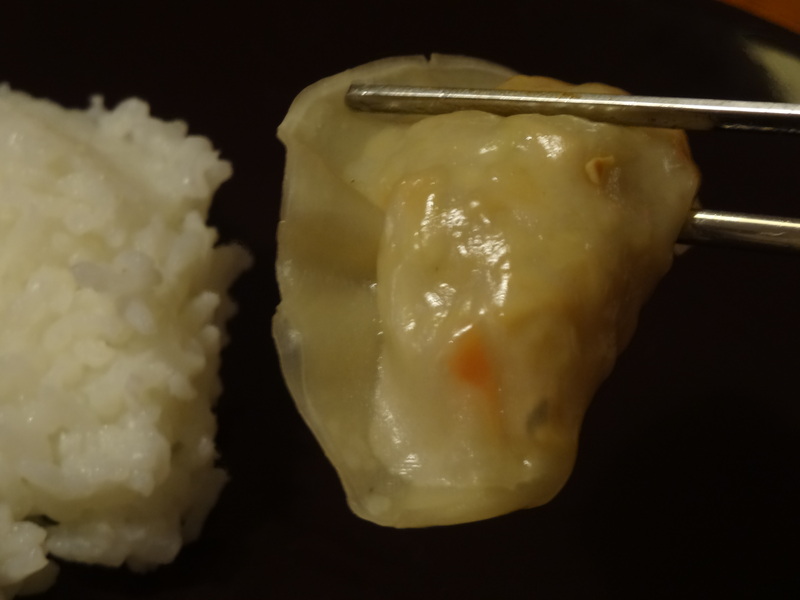 Spread a little water around the edge of each dumpling case with your finger, to help the dumplings stay closed. 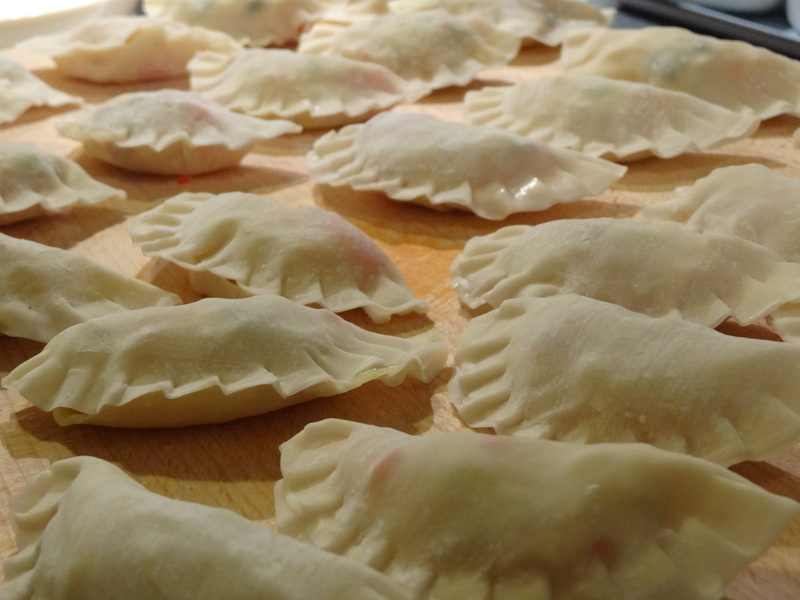 Fold the dumpling cases in half, and squeeze the edges together, either by hand or using a dumpling mould. Repeat for all dumplings. Put some baking paper on each layer of your steamer. 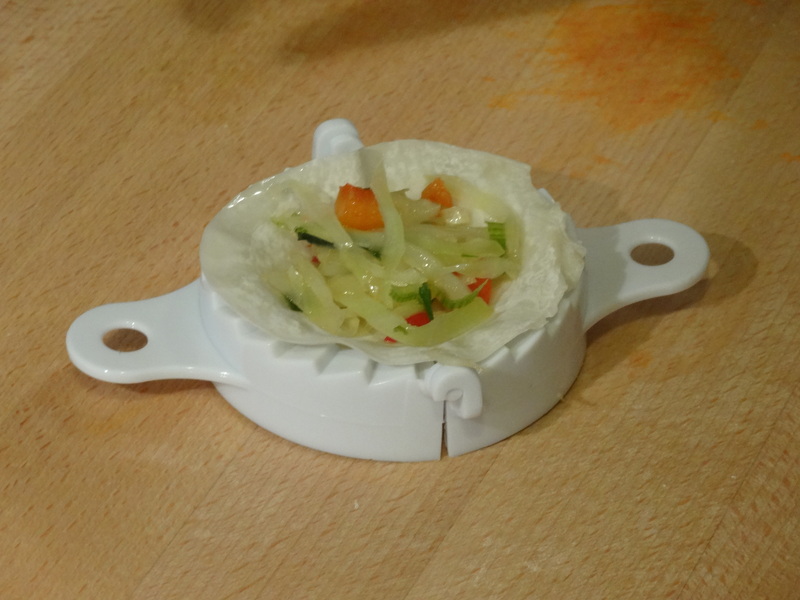 This is to stop the dumplings sticking to your steamer and it makes taking the dumplings out and cleaning the steamer much quicker! Put the dumplings in each layer of the steamer, on top of the baking paper. 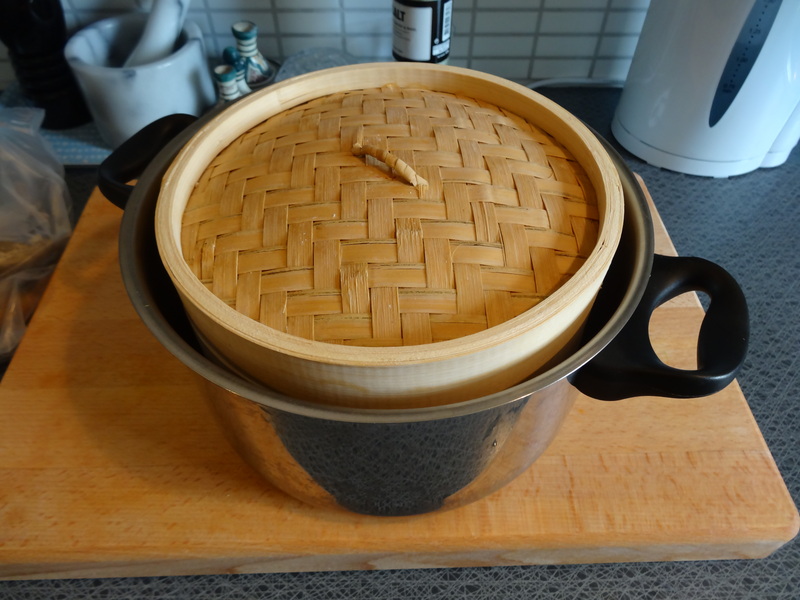 You should hopefully be able to fit 6 dumplings on each layer depending on the size of the steamer. Pour some water into a saucepan wide wide enough for the steamer to fit in. The water should be about 4 cm deep. Place the steamer in the pan. Put the pan on a high heat and once the water has started boiling, wait 2-3 mins and remove from the heat. 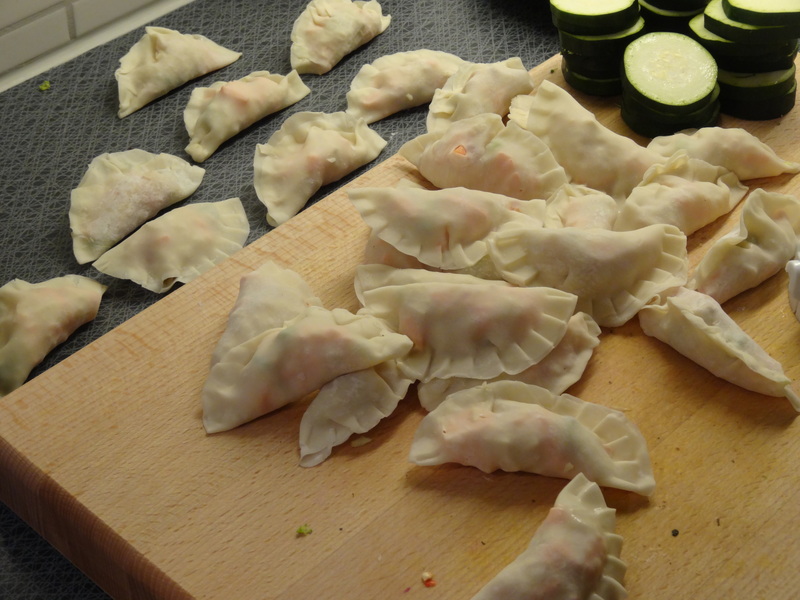 Remove the dumplings from the steamer, and repeat the cooking process for the remaining dumplings. Cut the lime in half and squeeze the juice of the whole lime into one bowl. 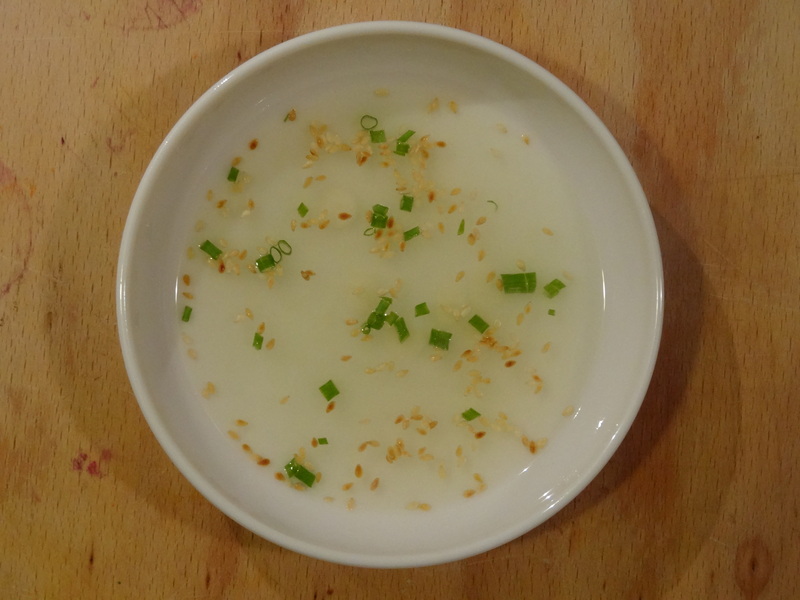 Pour in some rice vinegar (a couple of tablespoons) to suit your taste. Add some garlic, spring onion, and sesame seeds. In the other bowl, put the rest of the garlic, spring onions, and sesame seeds, and add some chili. Pour in some soy sauce and rice vinegar to suit your taste. 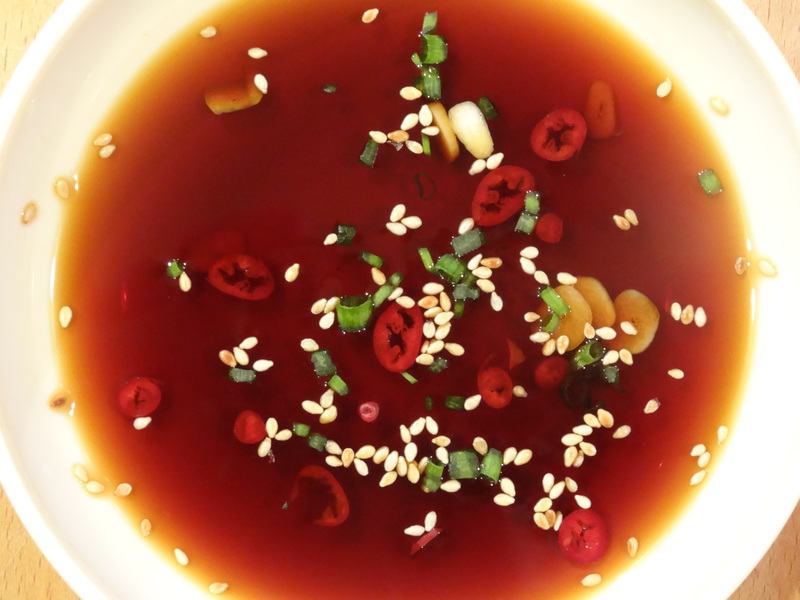 We typically do two tablespoons of rice vinegar to 3 tablespoons of soy sauce. 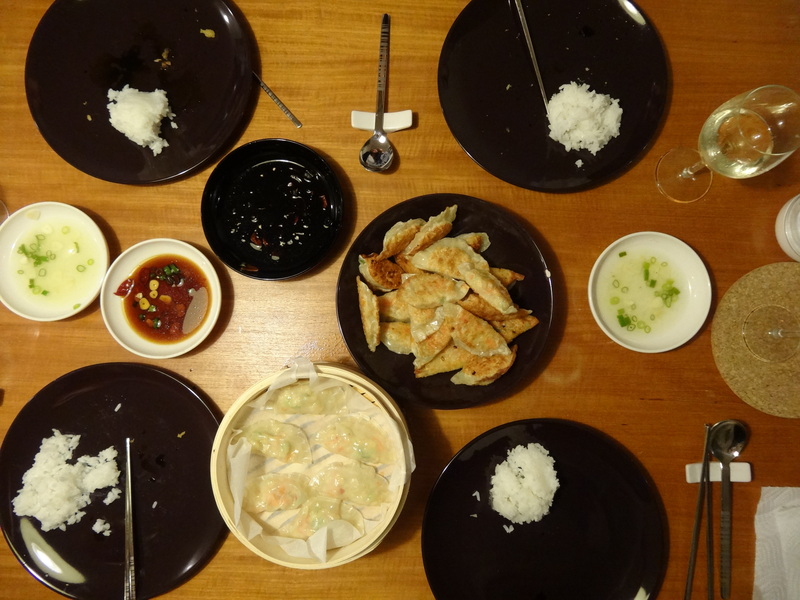 This entry was posted in Dinner and tagged asian, beans, dinner, dumplings, rice, vegetarian on 2014-10-14 by activebeans. We love dumplings and usually steam them, but sometimes we think it’s nice with a little crunch! These dumplings can be filled with just about anything, but sometimes a few simple vegetables make the flavour better. We have two dipping sauces in the recipe as well, but you can have your own – we have two because one of us wants one and the other one wants the other! 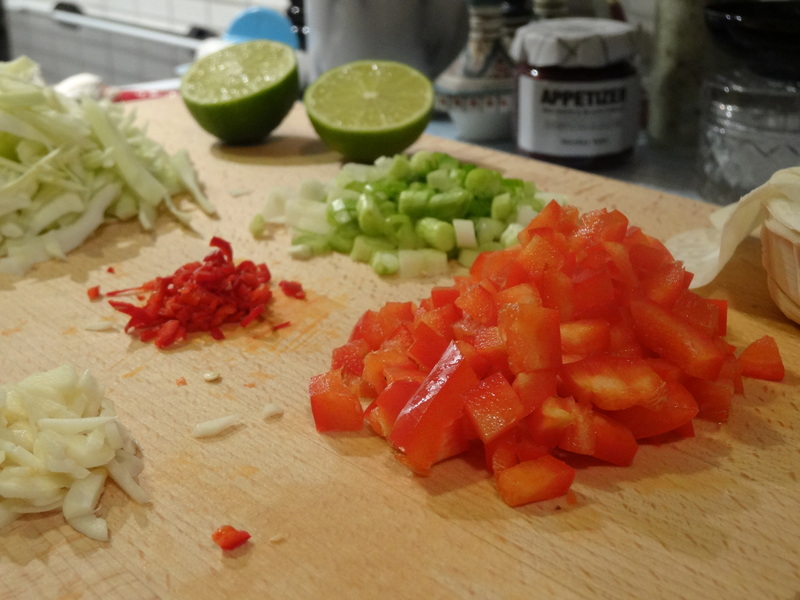 Save one clove of garlic, one spring onion, and a few bits of chili for the dipping sauces. Fry the rest of the vegetables in sesame oil for 4 mins (not too soft – still with a little crunch). Prepare two small bowls or saucers for the dipping sauces. 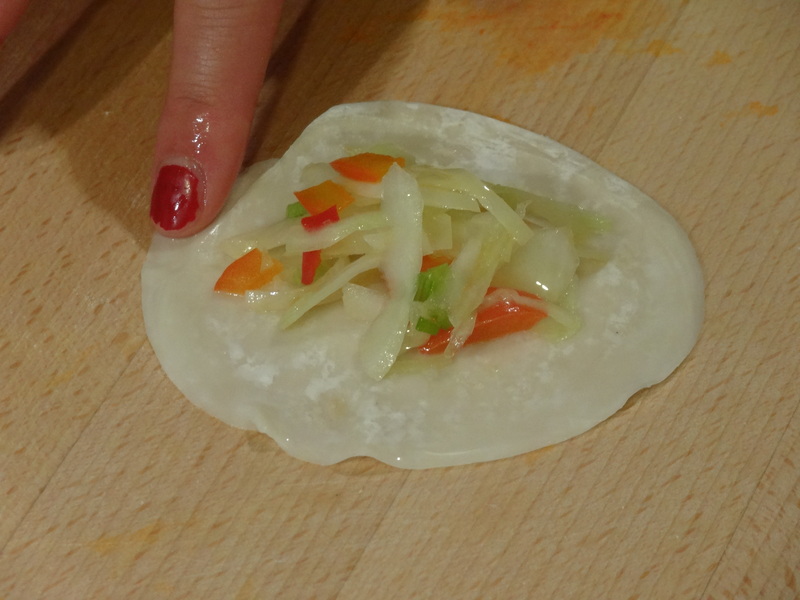 Put some dumpling cases on a work surface, and put one spoonful of the fried vegetables on each. Put some sesame oil (any oil is OK but the sesame oil adds more flavour) in a pan and set to a high heat. You need enough oil to cover the base of the pan (but it doesn’t need to be deep). 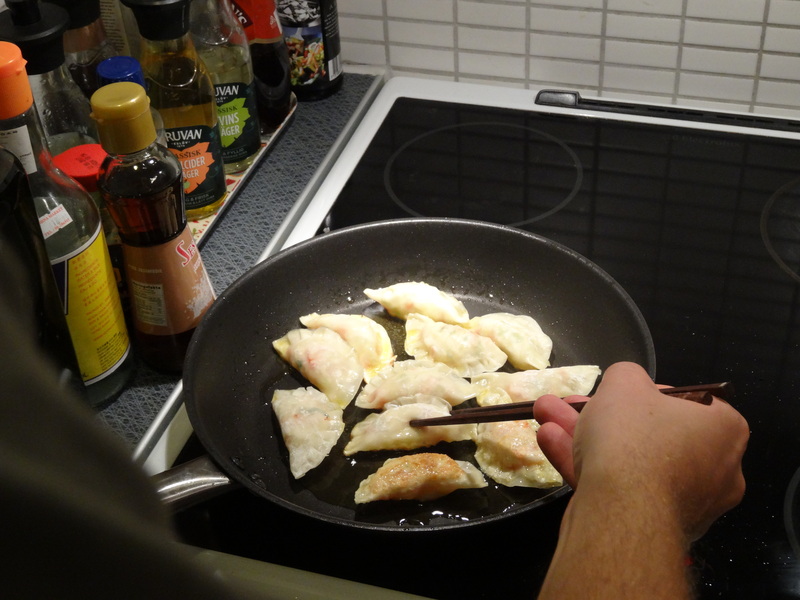 Once the oil is warm, place the dumplings in the pan (cook in batches if needed), and fry on each side for about two minutes, until they are golden and crispy. 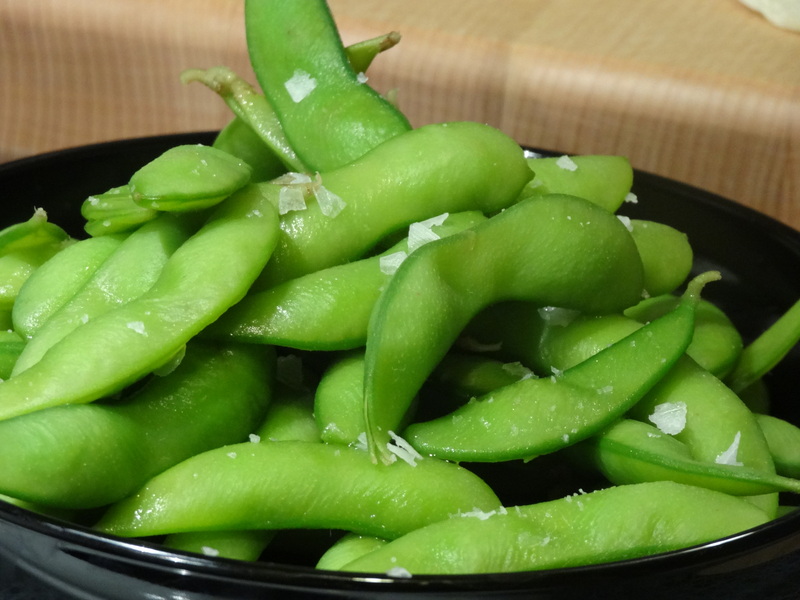 Boil some water, and pour over the edamame beans in a collander, then rinse the beans in cold water. Place the beans on a plate and sprinkle with sea salt. 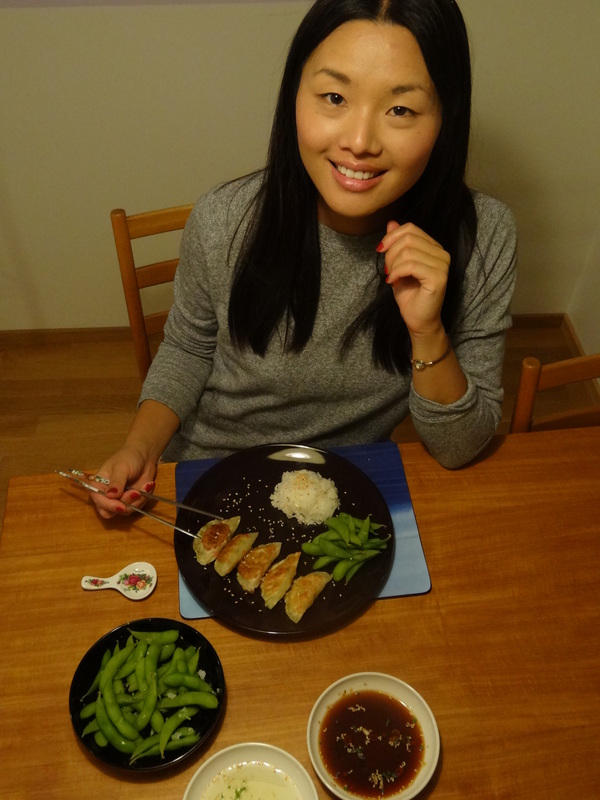 This entry was posted in Dinner and tagged asian, beans, dinner, dumplings, rice, vegetarian on 2014-10-02 by activebeans.